This sign is mounted on the exterior of B. B. 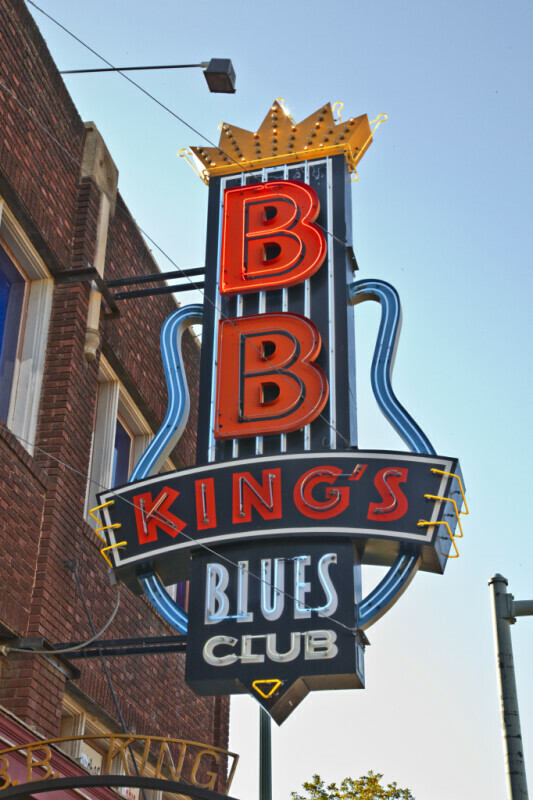 King's Blues Club. In this photograph the top B is lit.